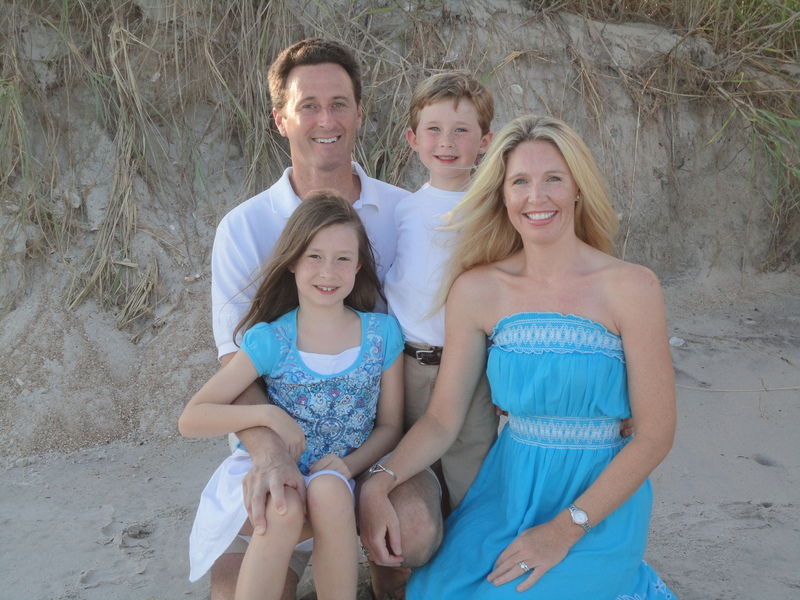 Dr. David Schonbrun, pictured below with his family, has worked and trained to build a practice that exceeds your expectations of trusted, personalized dental care. He brings his patients the best that dentistry has to offer by keeping himself and his staff informed on the latest advances in family, cosmetic and restorative dentistry. A former naval dental officer who served with the Marines, Dr. Schonbrun received his undergraduate degree from Old Dominion University and his doctorate from the Medical College of Virginia. While at MCV, he was the recipient of the 1990 Award for Dental Excellence in Prosthodontics. To remain up-to-date on the latest advances in his field, he completes many hours of continuing education each year. He is a member of the American Dental Association, Virginia Dental Association, Tidewater Dental Association, American Academy of General Dentistry and the American Academy of Cosmetic Dentistry. In his free time, Dr. Schonbrun enjoy’s windsurfing, skateboarding, classic and performance cars and spending time with his family. Dr. Schonbrun’s top priorities are patient satisfaction and comfort. He looks forward to your visit to his office and to showing you the positive effects that quality dental care can have on your life.